Tristan strawberries are very pretty to grow. Strawberries are perennial plants. 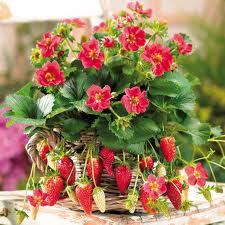 They have beautiful small pinkish flowers that bloom, then the strawberries will start growing as well. There are tons of different types of strawberries that you can grow just look around. What is the best time of year to grow strawberries? Fall time is the best time to plant tristan strawberries. 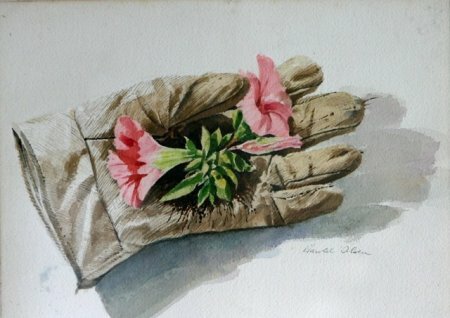 But, if you live in an area that does have freezing grounds when winter hits, you will want to go with early spring. But if you do not want to be patient and wait a year then you can plant them in late summer and have them ready next spring. Strawberries really do not need a specific weather to grow, they are already strong enough plants that will last even if you plant them the wrong time. Just not in the freezing and icy weather. They will grow best in the most sunniest spots you can find and one that is not that windy either. I would go with making a raised bed for strawberries to grow in. First off the soil will keep the moisture in effectively and there will not be any water puddles. They also like fertilizer, so when you are going to plant these strawberries you will want to start the bed 1 month before you plant. If you are starting a new garden that has had grass over it you should wait some time before you do strawberries, at least a year. They don't fare well around weeds. You will also want to till the ground for a season, to eliminate any weeds that have rooted where you wish to plant your strawberries. A few days prior to planting your strawberries, you should lay down some fertilizer. Before you start you should also thoroughly clean the area of any old leaves or plant debris. Then, place the seeds in their holes and cover with dirt. Then water them and wait. When they start to grow you may want to place some straw down to moderate the moisture that your strawberries are receiving. This is the best way to care for your tristan strawberries. 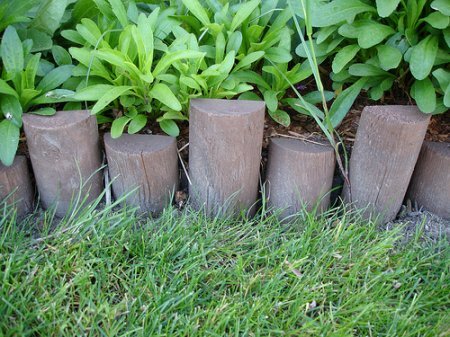 There are a few things you can plant with strawberries that may just help them grow. They are beans, lettuce, onion, and spinach. Spinach is probably the best choice because it is actually a very pretty plant and the leaves are dark green, which compliments the heavy red hue of the tristan strawberries quite nicely. You do not want to plant peppers, tomatoes, or potatoes with strawberries. Moreover, you should not plant tristan strawberries in any area that has recently had any of these growing recently. 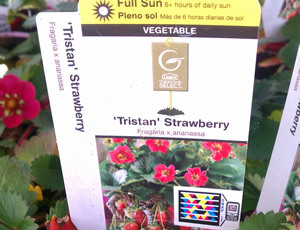 Even the remains of peppers, tomatoes, or potatoes can make growing your tristan strawberries difficult, if not impossible. The process is called Verticillium. Share a link to a page on How To Plant And Care For Tristan Strawberries and we will consider it for placement on this page.